The industry is adopting BYOD technology at a rapid pace and TerraGo Edge gives our customers the advanced forms and geospatial features they need today, with the ease of use that comes with the latest modern, mobile technology. 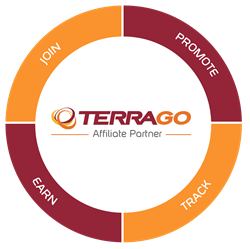 TerraGo announced today that BAP Equipment Limited has joined the TerraGo Edge Affiliate Program to give its customers in natural resources the benefits of mobile, cloud-based forms combined with high-accuracy data collection on smartphones and tablets. BAP Equipment Limited, headquartered in Fredericton, New Brunswick, Canada, has grown from serving the North American forestry industry beginning in 1987 to serving a customer base of users across the natural resources sector with a global dealer network providing the most advanced technology solutions available. Join TerraGo and BAP for a webinar “How to Build Custom Mobile Applications for Natural Resource Surveys” on Wednesday April 13th at 2PM US Eastern.